DISNEY ON ICE PRESENTS DREAM BIG IS COMING TO HARTFORD, JANUARY 12th-16th! Tickets are now on sale. Enter a world where adventure is awaiting and courage leads the way at Disney On Ice presents Dream Big. Through enchanted pixie-dust, Tinker Bell takes you on a journey of beloved Disney tales LIVE ON ICE. Make a splash with the fearless dreamer Ariel as she yearns to explore life above the waves. Watch Rapunzel, Cinderella and Belle as they learn about the power to make their own magic. Travel to the wintry world of Arendelle with sisters Anna and Elsa, and the hilarious Olaf from Disney's Frozen as they learn that true love is the greatest magic of all. Be there to discover a whole new world with the daring Jasmine, and join Snow White, Aurora and Tiana as they remind you to always be strong, kind and fearless. High-flying jumps, daring acrobatics, breathtaking skating and lovable Disney friends make this an experience your family will never forget. Believing is just the beginning when Disney On Ice presents Dream Big skates into your hometown! Tickets for Disney On Ice Presents Dream Big start at $20 for select performances. All seats are reserved. Tickets are available at XLcenter.com or by visiting the XL Center Box Office. For group rates and information, contact Group Sales at 860-548-2000. Restrictions and fees may apply. Feld Entertainment invited my family to be their guest at Disney On Ice Dream Big Opening Night in Hartford, January 12, 2017. We are so excited to share our experience with you, so please stay tuned! To learn more about Disney On Ice Dream Big, visit www.DisneyOnIce.com. DISCLAIMER: Tickets are provided by Feld Entertainment. All opinions stated are my own and are not influenced by any affiliates. Disney On Ice Presents Dream Big start - it sounds so good. My nephew and niece are visiting me next year. It is fun to take them there. Thanks for sharing. I so need to take my boys to see this. It looks like a great show. I'm still yet to see a Disney on Ice show but it definitely is one for my bucket list. Maybe I can take my daughter now! 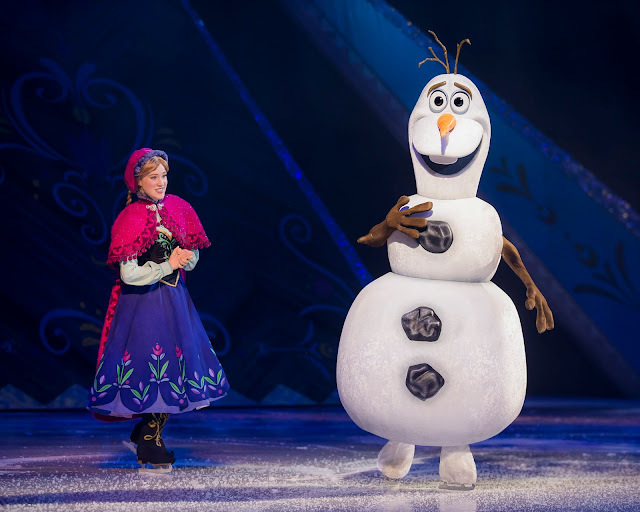 I have always wanted to see Disney on Ice and this looks like a fun treat for all the family. How fun! Yes, Disney shows never fail us of their performance and production numbers. And it will always be a number 1 hit for the kids. I've heard good things about this show. Looks like so much fun! We love Disney on Ice! We've seen several shows and loved them all. I have never been able to take my kids to Disney on Ice! I would love to see their new show. This REALLY looks like fun! I know a family that went this year, and now I'm thinking we should take our kids, too! I had the chance to check out one Disney on Ice show. I absolutely loved it. I am looking forward to seeing more. looks like fun! I cant wait to go! I think we will have to go to Disney on Ice next time it comes here. It always looks incredible! I've thought about taking my kids to this show. I really hope that I can soon! I really love the idea mentioned in this post! The performance was great, I feel it. Will you share more materials with us?